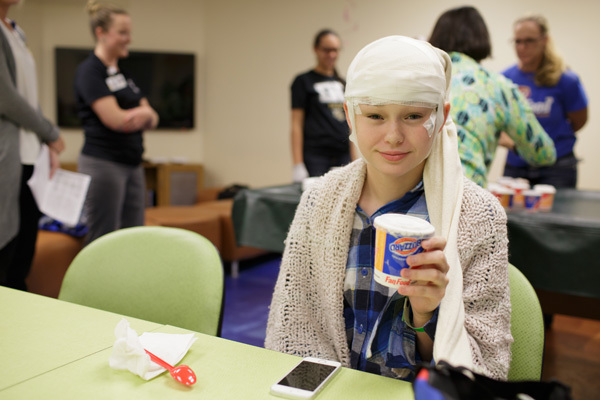 The annual Miracle Day Treat event brought smiles to patients at the UF Health Shands Children’s Hospital, who enjoyed the Blizzard Treats, as well as to those who visited area Dairy Queens, where a part of the proceeds from each Blizzard sold went to the Children’s Miracle Network Hospitals. 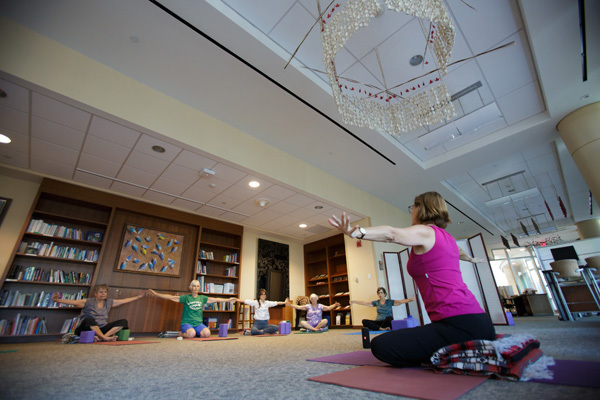 Participants exhale and stretch as part of the Gentle Yoga sessions offered each Wednesday afternoon in the UF Health Shands Cancer Hospital’s Criser Cancer Resource Center. UF Health Pediatric Hematologist/Oncologist Dr. Matthew Cascio was presented the 2017 Hyundai Hope on Wheels Grant Award prior to participating in the Hyundai Hope on Wheels handprint ceremony. 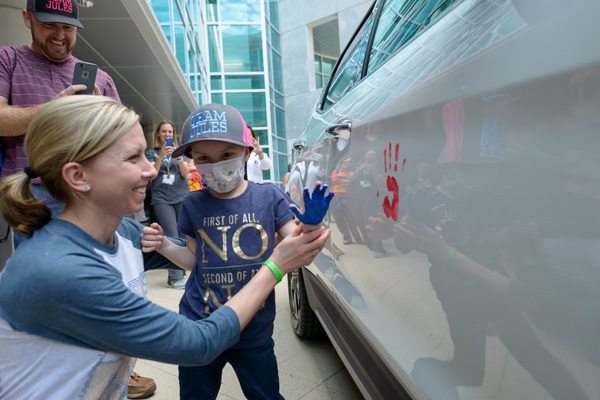 As part of National Childhood Cancer Awareness Month, patients at the UF Health Shands Children’s Hospital participated in the annual Hyundai Handprint Ceremony, where they placed painted handprints on a 2017 Hyundai Santa Fe to illustrate their hopes for a cure. 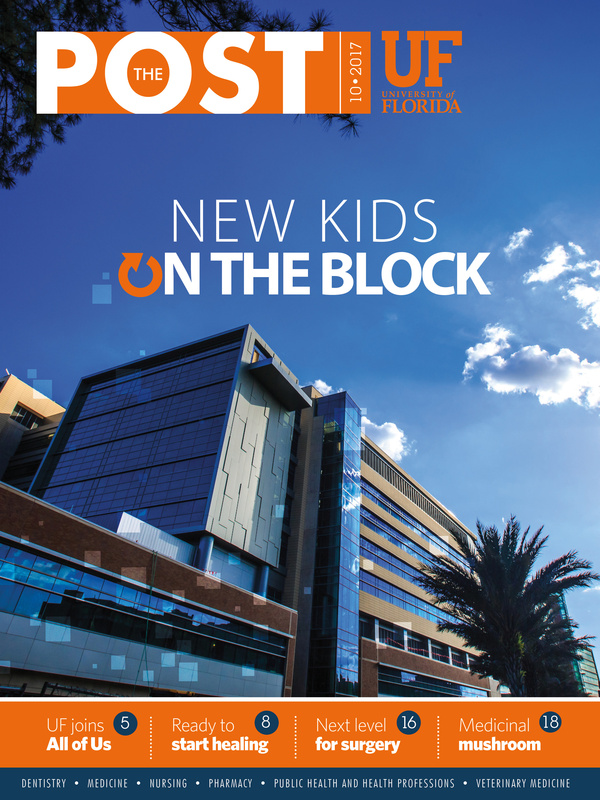 The company also presented a $150,000 Hyundai Young Investigator Grant to Matthew Cascio, M.D., a UF Health pediatric oncologist.